Difficult bosses can be found in most organisations. Maybe you work for a boss who is intimidating or a micromanager. Someone who provides little to no recognition for your hard work, or worse, takes credit for everything. Perhaps they are indecisive or give you too many tasks with unrealistic deadlines and wonder why you are stressed? Difficult bosses can erode your confidence – but only if you let them. 1. Understand and adapt to your boss’s management style. Take the time to watch and listen to what your manager does and says. Observe closely how they communicate and interact with various types of people. What is their preferred method of communication – emails, phone, or in person? Do they prefer frequent updates or just an occasional briefing? The more you can understand your manager, the more easily you can adapt to their management style. 2. Hunker down and focus on your work and what you do well. Create lines of communication with other managers and possible mentors within your organisation so they know you and the quality of your work. By putting your efforts into doing your job well, you are less likely to get sucked into your manager’s difficult behaviour. 3. Know your manager’s expectations and communicate yours. Learn to communicate productively with your boss about what their standards and expectations are. Provide regular updates. Equally, tell your manager your expectations in terms of the feedback, direction and support you need. 4. Don’t be a victim. Act professionally. 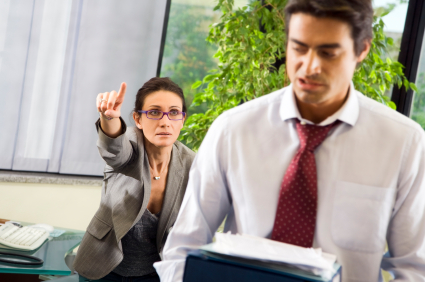 If you work for a particularly difficult manager, managing him or her is likely impossible. Work at maintaining your composure, dignity and control and be prepared to either leave the role or organisation if the situation doesn’t improve. You’ll be much happier and confident for doing so. What did and didn’t work for you?